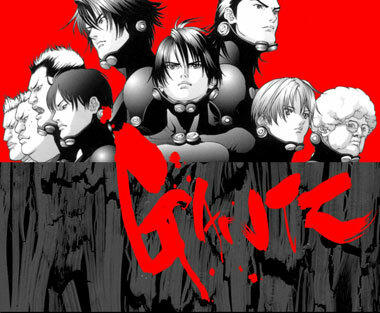 "Gantz" is the ultimate reality TV game-show, except for the fact that you're already dead. 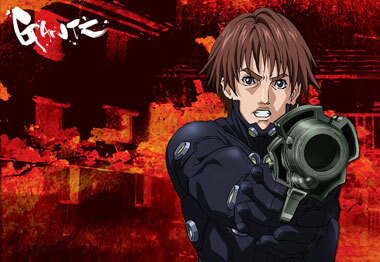 A teenager named Kei Kurono dies in a train accident attempting to rescue a homeless man and becomes part of a semi-posthumous "game" in which he and several other people who have recently died are forced to hunt down and kill aliens - the missions in which they take place are often dangerous, and very few members of the team survive (only to be replaced by others who have recently died). If you are killed by the aliens, you die forever, but, if you manage to "win" and score 100 points, you may be set free, able to return to your previous life (with all traces of Gantz wiped from your memory). In essence, it's like living in hell - or perhaps purgatory, with the chances of your future survival slim, and a difficult, if not nearly impossible goal to achieve. Except in this "game", there are no second chances, no do-overs, no reset button, and very few rules of the game spelled out for you - you need to learn how the game works by trial and error - and a single error at the wrong time can mean death. Sound exciting? Just remember that not dying can also be pretty traumatic - characters often lose limbs (although at the end of the mission they are reformed in perfect health), and they are provided with suits that amplify strength and speed. An enigmatic black ball provides them with weapons. 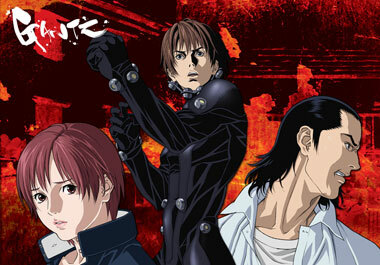 For a TV series, Gantz is a tour-de-force of anime, both in terms of style and quality. The heavy use of CG animation, particularly for the backgrounds, lends an otherworldly feel to the series, giving the viewer the impression that you're never standing on firm ground — that perhaps it's all just a weird dream that you'll somehow wake up from. This actually draws you deeper into the story and characters — just don't get too attached to anybody in particular, because they might not survive the next mission! Gantz has a lot of originality and imagination behind it. Hiroya Oku has created a series that is sure to inspire an entire genre onto it's own. Warning: Gatnz pulls no punches. It's horrific, brutal, bloody, emotionally raw, and terrifyingly surreal. If this is what death holds in store for us, we're now scared... very, very scared. 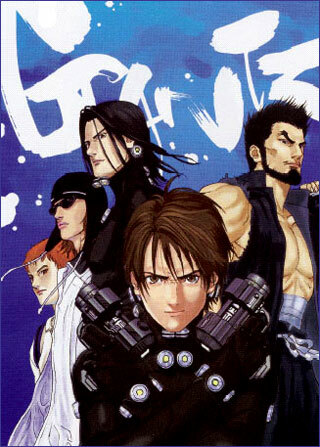 Below: Promotional artwork from Gantz.